Your warehouse plays a major part in your business, whether it’s where your stock is kept or where the manufacturing of your products take place. The new year is a great time to give your warehouse a revamp, perhaps maybe a new mezzanine floor or a new shelving and storage system? Our team who have years of experience, almost 25 years in fact, can provide you with the perfect solution to enhance your warehouse for the new year. Not only can a mezzanine floor or storage system double the useable space in your warehouse, we will ensure that all structures are extremely safe too. If your existing equipment is old and outdated, it may not be as safe as it was to start with. Our mezzanine floors conform to British Standard structural steel codes and we will manage all the necessary building control applications and fire regulation requirements. Everything we do is at the highest of health and safety standards. 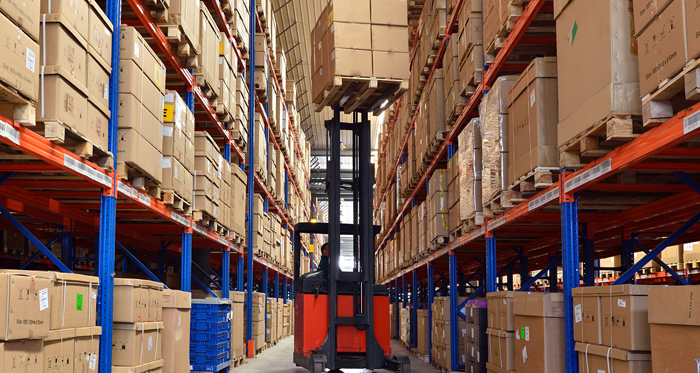 We understand it can be challenging to keep your warehouse tidy and organised, but this is key for productivity, especially if you’re providing parts on a commercial level. Our racking systems come in many variations available for all different types of warehouses to keep your products in order. For more information on our mezzanine floors, racking systems, or any of the other services we provide, you can call us on 01293 224 364 or email us at info@stormorsystems.co.uk. From all of the team at Stormor Systems, we hope you have a Merry Christmas and a Happy New Year.